The New Beetle has been an icon for a decade now, and Volkswagen is giving it another year without any substantial changes. 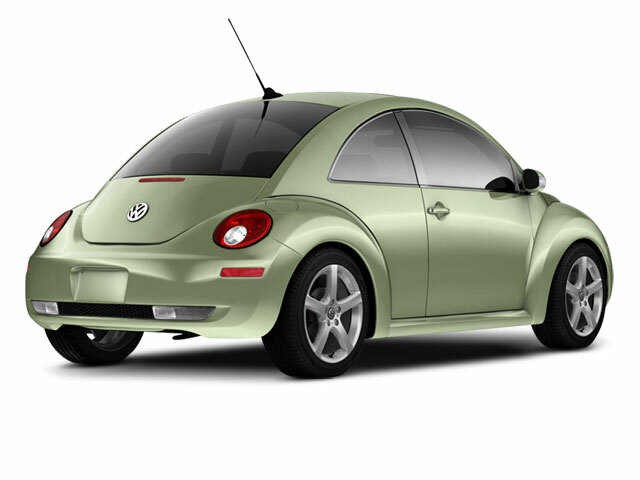 There are only two ways to order the VW New Beetle: convertible or coupe. They're both powered by a 2.5-liter inline 5-cylinder engine that makes 150 hp and 170 lb-ft of torque. The hard top has a choice of either a 5-speed manual or a 6-speed automatic with Tiptronic, which allows the driver to manually select the gears. The convertible can only be ordered with the auto transmission. The New Beetle comes with anti-lock brakes and tire pressure monitoring, plus VW's Electronic Stability Program, which adds anti-slip regulation, traction control and brake assist. The convertible also has active rollover support, which engages pop-up aluminum posts behind the rear-seat headrests. Dual front airbags and head/thorax airbags are standard, too. The convertible top is made from three layers of cloth with a heated glass rear window. It's power-assisted and it tucks behind the rear seats when the sun is out. There's an extra window control too, to make it easier for the driver to lower or raise all four windows. There's only a couple options for the New Beetle hard top. The power sunroof allows some of the fun of a convertible. 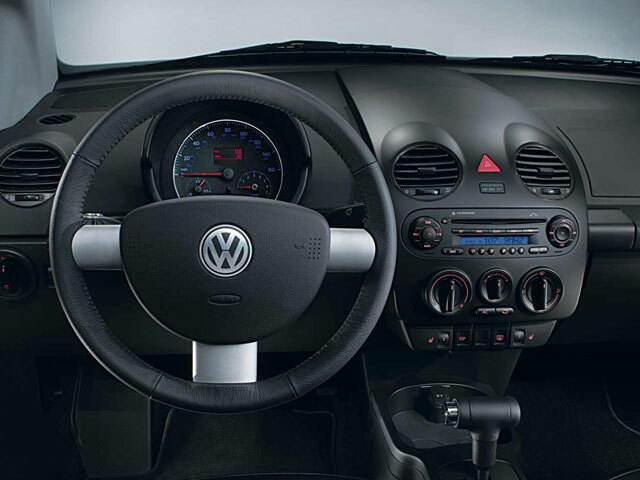 What makes this common accessory different on the Beetle though, is that the control is a dial that allows you to control exactly how open you want the sunroof to be. Rear spoiler and roof racks can be added, and that about caps off the options list. Likewise, there's only one option for the convertible: 17-inch alloy wheels with all-season tires. 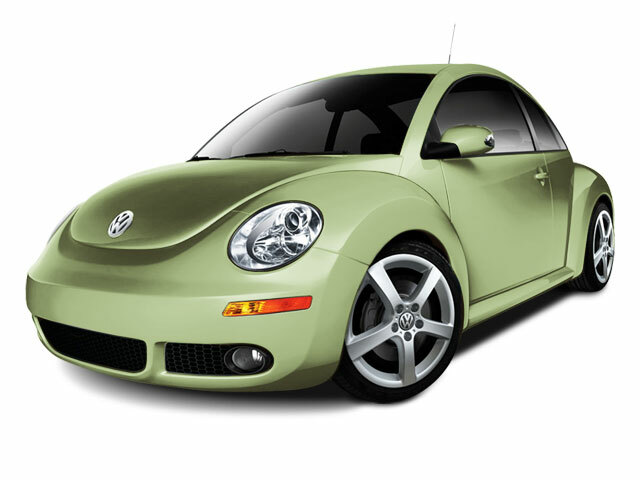 Otherwise, both new Beetles come equipped with air conditioning, cruise control, turn signal indicators in the exterior mirrors, heated windshield washer nozzles, and a 10-speaker stereo with MP3 playback capability. A design this distinctive and instantly recognizable for under $20,000 is a pretty good deal. Plus, a slew of high-tech safety systems, such as Volkswagen's Electronic Stabilization Program, are standard equipment. 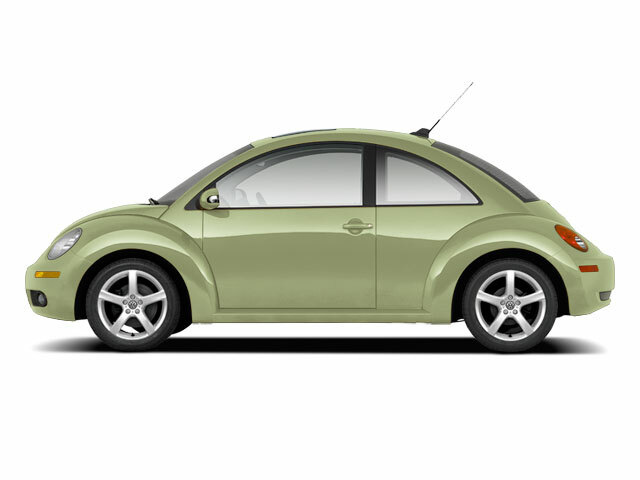 The New Beetle gets up to 29 mpg on the highway in either sedan or convertible form.